Sous vide is a method of cooking that has seen a meteoric rise in popularity in recent years, and for good reason. Cooking meat can be tricky, and cooking it to absolute perfection with consistency is even more difficult without extensive training… until now. 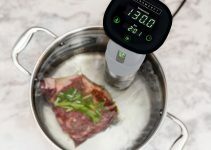 Sous vide has been used by top chefs around the world because it’s a precision means of cooking, using carefully controlled temperature and water to cook meat evenly and retaining moisture. The difficulty, however, is that sous vide has not always been a particularly accessible mean of cooking. If you want to cook sous vide, you’ll typically need standalone sous vide equipment. That’s the problem that Codlo has solved with their Sous Vide Controller. The brilliance of the Codlo Sous Vide Controller is that it does not require exorbitantly expensive equipment that are reserved for the kitchens of Michelin Star restaurants. Just because you don’t have the expensive equipment, that does not mean you cannot have the quality right in your home. That’s the service Codlo has provided. The Codlo Controller adapts the slow cooker or rice cook that you already have in your cupboard into a state of the art sous vide cooker. The setup is as simple as could be: just plug and go. Your slow cooker plugs right into the Codlo, and the Codlo plugs right into your wall. That means it’s not only easy to setup, but also doesn’t take up precious kitchen counter space. 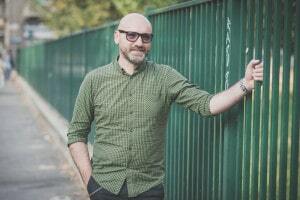 So, you have your Codlo plugged setup and ready to go, but what’s next? Find a good recipe, and place the ingredients you would like to cook into a resealable sous vide bag (be sure the resealable bag is airtight!) 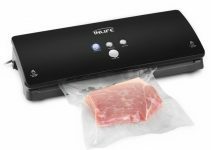 that’s sealed with the best sous vide vacuum sealer. The Codlo control will preheat the water to the precise temperature required for cooking. Simply place the resealable bag in the water. This is perhaps the greatest part about what Codlo has done with theier product. Once you’ve placed the ingredients you would like to cook into the water, you can set it and forget it until the cooking is completed. Sous-vide provides the delicious precision cooking without any actual having to be precise! If you’re looking to pick up your very own Codlo Controller you need to be sure you have the equipment necessary to cook, or else be prepared to pick up what you’ll need. Luckily, it’s really very simple and doesn’t require much at all to operate. Codlo’s product works well with a variety of cooking equipment you likely already have kicking around. It’s compatible with some slow cookers, rice cookers, and table top roasters. Just be sure to check the product’s FAQ instructions and see if the cooker you have at home is compatible. The Codlo Controller works with the equipment you have sitting in your kitchen right now to give you a world class kitchen without the fuss. 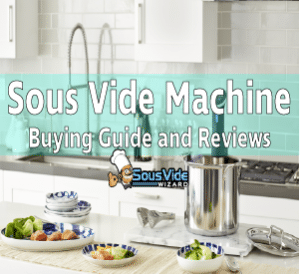 Use your Coldo Sous Vode controller in conjunction with the slow cooker, rice cooker, or table top roaster for amazing results. The Codlo Controller is small and plugs right into the standard outlet in your home. All you’ll need to make room for is the cooker you already have in your kitchen, so you can save your kitchen counter space for the things that really matter: more food! 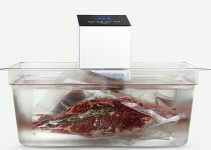 Sous-vide cooking is available to you right out of the box. Plug your cooker into the Codlo product, and lug that into the wall. The setup couldn’t be easier. The act of cooking is a complete breeze. Add you ingredients to a reseable bag, add that to the temperature controlled water, and leave until your meal is ready to go. It’s not only quick, but there couldn’t be a more effective and delicious means of cooking your food. The Codlo Controller works in tandem with the kitchen equipment that is already at your disposal. With that being said, it does require that you actually have this kitchen equipment on hand. Many people already have a slow cooker, rice cooker, or some other similar device that’s compatible, but if you do not you will have to purchase one in order to use the controller. The Codlo Controller makes an unparalleled means of cooking your food available to everybody, and not only those with the budget to eat at five star restaurants. Pick yours up today, and those looking for the best value should check out Amazon, where they’ll have the best value and ship the product right to your door!